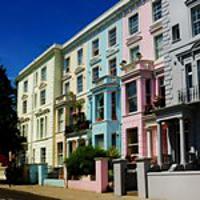 There has been a 22.1% rise in the number of new prospective buyers in the prime property market in central London since the European Union referendum compared to the same period in 2015, according to a new report. The number of properties under offer in the eight weeks since Brexit rose 19% compared to last year’s web viewings grew by 20.8% while viewings increased by 49%, the data from the latest prime property report from Knight Frank shows. However, the sector has seen annual price growth decline, down by 1.8%, the steepest decline since October 2009, although sales activity was stronger this August than last year, though remained relatively subdued due in part to the seasonal summer lull. But the report suggests that there are grounds for cautious optimism that activity will intensify over the next few months. ‘Recent stamp duty increases and, to a lesser extent, the vote to leave the European Union continue to act as catalysts for overdue price adjustments,’ said Tom Bill, head of London residential research at Knight Frank. ‘While there remains a high level of speculation over the impact of Brexit on the prime London property market, it remains too early to discern its likely long term impact. As with the broader economy, any profound change in performance will only become clearer over the next year or two, depending on the outcome of a protracted period of negotiations between the EU and the UK. While Brexit has added to a backdrop of political and economic uncertainty, it has also acted as an incentive for action in the two months since the vote,’ he explained. The report shows that buyers in overseas currencies are benefitting from an effective discount of more than 10% since the start of the year due to the depreciation of Sterling. Meanwhile, Brexit has been the trigger for some vendors to reduce asking prices to levels that take higher rates of stamp duty and the new economic and political climate into consideration. It also shows that while overall prices fell by 1.8% there remain differences across the region, with the largest annual decline of 8.9% in Chelsea, compared to positive growth of 0.7% in Mayfair and smaller declines of 0.9% in Marylebone and 0.8% in Belgravia. Meanwhile, the recent declines in Knightsbridge appear to be bottoming out as asking prices align with higher expectations.